Is There A Kenya National Flower? There is no Kenya national flower as such. Kenya has never officially adopted a flower as it’s national symbol. But there may be an unofficial one. Kenya is a large exporter of flowers, especially tropical orchids. That’s why some have suggested that the tropical orchid could function as the national flower. A tropical orchid in Kenya. The book “Orchids of Kenya” by Joyce Stewart showed that 265 types of orchids are native in Kenya. They are beautiful flowers in all the colors of the rainbow. 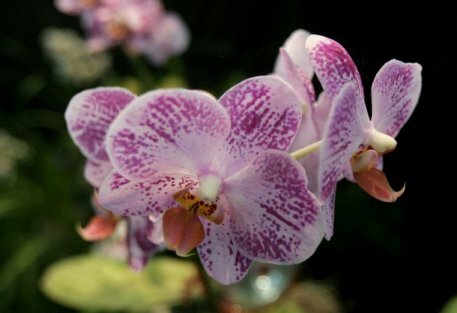 Worldwide, orchids are the biggest family of flowers with at least 22,000 species. Kenya is exporting so many flowers that it’s competing with coffee, tea and tourism as the biggest earner of foreign income. In 2007, Kenya’s flower export grew to 90,000 tons, equaling a total of 43 billion shillings (700 million US dollars). This is despite a recent raise in import tariffs in Europe, who were said to be necessary to cover the costs of new disease controls introduced by the EU. Critics however pointed out that e.g. the Netherlands had introduced much higher tariffs than the UK, as a result of exactly the same EU rules.